YES! 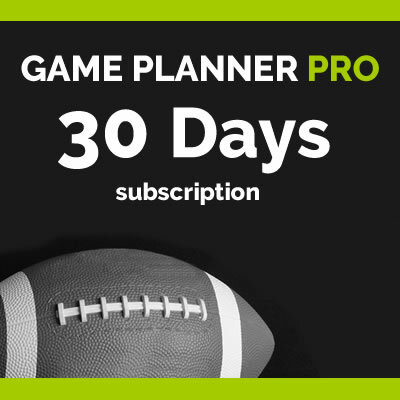 Start my subscription to Game Planner Pro. I want to be more productive coaching my offense – and save myself hours of work, too. 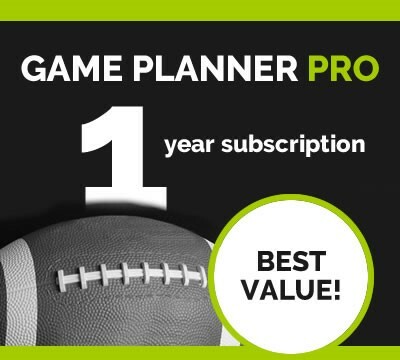 #1: Game Planner Pro — My coaching staff and I will save hours of prep time by automatically creating daily practice scripts, game day call sheets, and player wrist cards. Game Planner Pro is simple to use and aligns our game plan with our play scripts, call sheets and wrist cards, so we’ll only prepare what we plan to call on game day. Once we input the plays for the week, Game Planner Pro does the rest. #2: Secure Playbook Hosting – My subscription guarantees I can access my playbook from any Internet connected device and will be available 24 hours a day, year after year. I will be able to print practice scripts, game day call sheets and wrist cards from anywhere. 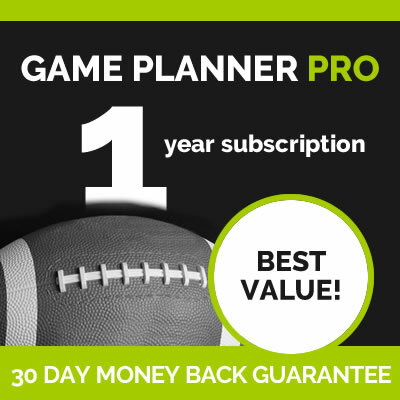 #3: Money-Back Guarantee – If at any time during my first 30 days I feel Game Planner Pro isn’t worth the subscription fee, I can email support@gameplannerpro.com and I’ll receive a full refund (available to 1-year subscriptions only).